H, all! 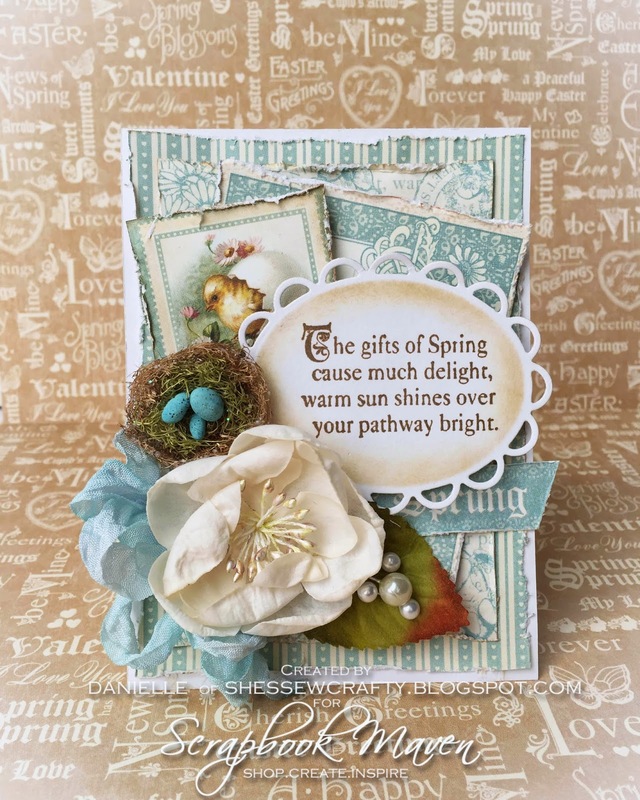 I had so many beautiful scraps leftover from my Sweet Sentiments Mini Album that I had to make a card. Below is what I cam up with and I still have enough to make a pink version that I will have uploaded soon. otta love all the beautiful images and elements that G45 papers have to work with! 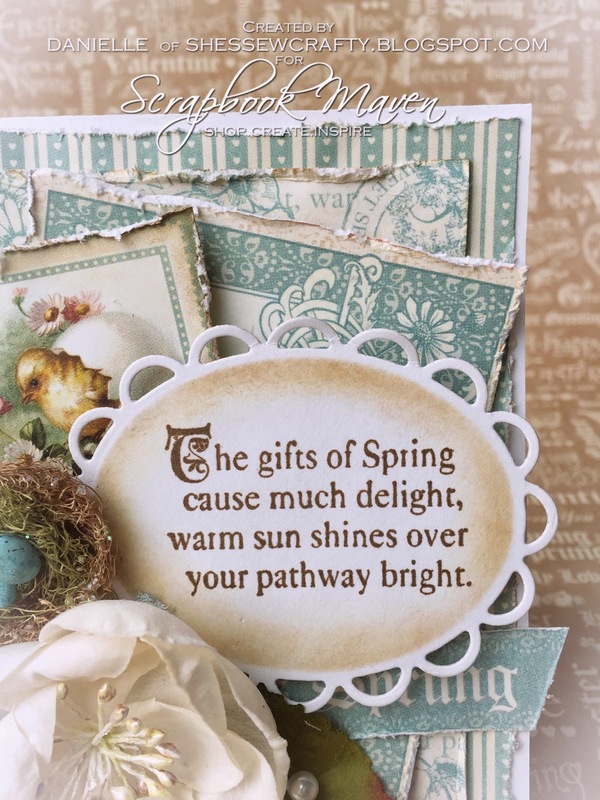 I used one of the stamps from the collecion for the sentiments as well as Spring has Sprung 12x12, Easter Greetings 12x12 and All My Love 12x12: all leftover from the Kit making my Album. 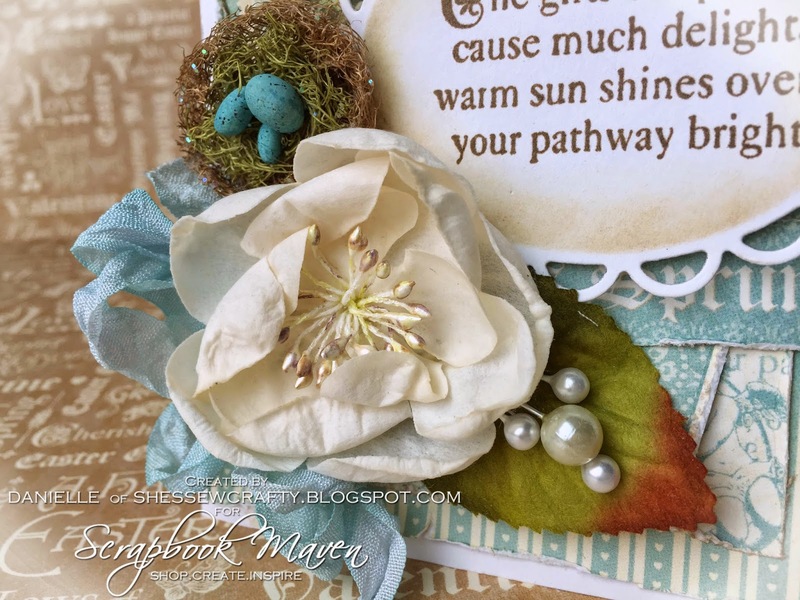 The sweet bird nest is from Prima, the leaf is Petaloo and the flowers is Recollections. The seam binding was dyed using Glimmer Mist Periwinkle, Hiedi Swapp Mint Green Color Shine and a bit of Tumbled Glass Distress Ink- I know, couldn't get it quite right with any one product that I had on hand.